An automated attendant phone system greets callers and routes their calls according to a menu of options. The purpose of this system is to make communication as clear, concise, and efficient as possible. Choosing the right system can have a significant impact on your customers' satisfaction. A professional auto attendant system meets your customers' needs intuitively, responds to their requests quickly, and improves their first impression of your establishment markedly. On the other hand, a substandard system will confound and anger callers; it will inhibit communication and complicate what should be a simple procedure. An inferior auto attendant system practically guarantees that customers will be irritated, irrational, and angry when their calls are finally routed - they might even hang up before you have so much as said hello. Voxox offers an Auto Attendant solution that is easy to set up, and was designed to save you time and money. Whether you need a simple Auto Attendant or a complex multi-level system that will automatically route your callers to departments or individual extensions our Auto Attendant will scale to your business need. The cost of these systems is much more affordable than the cost of hiring, training, and maintaining a receptionist (or two). Ultimately, the bottom line, an auto attendant system can help your business in other ways as well. A properly selected and installed system will reduce callers' wait times, and connect your customers' calls efficiently. These systems can also be tailored to guarantee a custom fit for your business. As is the case with any communication solution, an auto attendant phone system should facilitate business by keeping your customers happy. After all, you never know who might be waiting on the other end of that line. Voxox's award winning platform provides VoIP solutions for call centers that include the remote maintenance of the phone system equipment, the ability to add additional extensions as your business grows, and many other inbound call center features such as auto attendant, call hunting, simultaneous ring, and other options at a fraction of the price of traditional telecommunications. With low upfront costs, no equipment to buy, and competitive metered or unlimited plans in order to give you the system you need at a price you can afford. Beyond great low rates, a hosted PBX service offers other benefits, including custom music and messaging on hold, call forwarding and call transfer, call hunting and simultaneous ring, web and email enabled calls and much more. Further, the responsibility of powering, maintaining and supporting the system lies with Voxox, not with our clients. You can even lease phones from us, for further savings to your company and you only pay one bill, regardless of how many office locations you have. 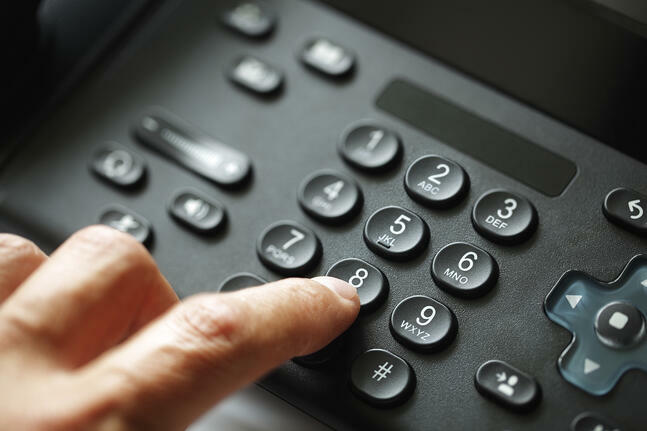 With plans starting at $5 per month, our VoIP services are something any business can afford. The Cloud Phone service, starting at just $19.95 a month, offers the ability to have a local number or even a toll free or vanity number, as well as other features including auto attendant, voicemail to email transcription, and a professional greeting. Great for smaller call centers, the service is completely in the cloud, meaning there's no hardware to buy or maintain.